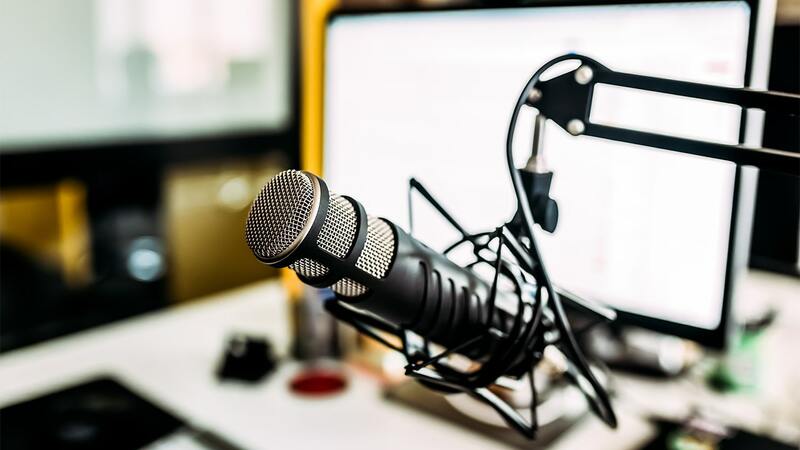 Podcasts are the talk of the town on streaming platforms, and for a good reason; they focus on topics that people crave and typically deliver long-form content. Whether you’re into music, storytelling, games, business, or comedy, there’s absolutely a podcast right up your alley. The fantastic thing about podcasts is that anyone can make one! If you have something to say, it’s almost guaranteed that someone out there is willing to listen. Luckily, the investment required to create a professional quality podcast is relatively small. On top of being an excellent creative outlet, creating podcasts can act as an extra source of income. I’ll be covering, in detail, the steps you should take to ensure that you record your podcast in the highest quality possible. You don’t need any previous recording experience to benefit from this guide, and I guarantee that if you apply what you learn, you’ll be capable of recording professional quality podcasts in your own recording space. Nothing makes a YouTube video worse than poor sound quality, and the same thing goes for podcasts. You could have the most unique idea for a podcast, but many people will lose interest after a while due to the strain a poorly recorded podcast causes their ears. If you’ve already tried your hand recording at home, you’ve likely realized that right off the hop, your recording doesn’t sound like the pros. Could this be your microphone? Potentially, but even a $99 mic is going to be capable of capturing high-quality audio. There’s a good chance that amateur level audio equipment isn’t what’s been maiming your audio recordings; it’s your recording environment. Many modern homes are designed as a giant cube, made up of smaller cubes. A cube is one of the worst possible environments that you could record in due to the issues it causes when sound bounces around your room. Painted drywall absorbs minimal sound, and reflects a significant amount of the sound that hits it; the result is a room that allows sounds in and out and causes a bright reverb tail to follow any sound produced within it. There’s an astounding amount of time and money that people are willing to put into creating the “perfect acoustical environment”; these people suffer from something called “being an audio engineer,” and you don’t need to go overboard, or over budget when treating your room. The most budget-friendly way of effectively treating your room is by hanging up thick moving blankets on your walls; this will drastically reduce the reflections that occur in your recording environment by absorbing sound. You can pick up a pack of moving blankets off of eBay for about $60, and you’ll see a substantial 80% improvement (or more) in recorded sound quality. A step up from moving blankets is acoustic foam and sound diffusers. Acoustic foam works to absorb sound and prevents sound from reflecting around the room. A diffuser is typically made out of a natural material like wood and has an uneven surface that’s meant to redirect incoming sound waves in various directions. By adding diffusers to your room, you help to reduce echoes while maintaining a “live” feel; on the flip side, applying too much absorption to your room can make it sound “dead.” It’s important to experiment by repositioning acoustic treatment around your room to see what works best for your recording environment. How far you decide to go down the room acoustics rabbit hole is up to you. Some people go as far as to hire an acoustical engineer to optimize their recording space. Most people who record as a hobby aren’t going to spend the money on hiring an acoustical engineer, but if you operate a commercial recording studio, it could be worth the investment. A lot of people get way too close to their microphone and will end up riddling their audio recordings with plosives, and unnecessary mouth noises. Achieving quality results can be difficult if these issues aren’t dealt with appropriately. There are two primary solutions to deal with plosives and mouth noises; microphone placement, and pop filters. One quick way of effectively preventing plosives is by placing your microphone off-axis. A microphone positioned on-axis is directly in front of you, whereas a microphone positioned off-axis is off to your side (around 45 degrees), but still directed towards your mouth. Instead of bursts of air attacking your microphone, they move past it, and your microphone just picks up the sound coming out of your mouth. If you find that your input level is too quiet when once you reposition your microphone, just turn up the input level on your mic preamp; don’t get closer to the microphone. It’s best to keep a little bit of space between you and your microphone; 6 inches is a pretty safe bet. To prevent yourself from drifting closer to your microphone, consider picking up a pop filter; they’re typically a thin piece of foam, mesh, or metal, and work to dissipate the air moving towards your microphone. This way, you can position the mic on-axis behind the pop filter, capturing the full spectrum of the voice but with the plosives filtered out. In combination with careful microphone positioning, a pop filter is going save you from a tremendous amount of editing down the road; the best part is that many pop filters range from about $10-15, so they’re a relatively cheap solution to an otherwise very time-consuming problem. If your podcast includes multiple people, placing each member’s microphone at different distances can help listeners determine who is speaking. Telling the difference between a man and a woman will usually be a non-issue. Although, if your podcast includes 4 men who all sound similar, it can become quite challenging to figure out who’s speaking. Try positioning each person at varying distances from their microphone, or at least the people who sound similar to one another. As a person gets farther away from their microphone, their voice gets thinner, and less rich in the low-end. This is a very effective way of making it simple for your listeners to differentiate between each voice in your podcast. Another way of helping your listeners differentiate between voices is via the use of panning. Placing one voice slightly to the right in your stereo field, and the other to the left is a great way to make it clear who’s voice belongs to who. There are two mistakes that you can avoid by recording your podcast with healthy input levels. The first mistake you need to avoid is recording with the input gain set too low. Recording with a lack of input gain will require you to later increase the signal’s level in your DAW, and by doing this, you also increase the level of the noise floor. Recording at a higher input level effectively separates the voice you’re recording from the noise floor in the room, and the inherent low-level hum that exists in recording equipment. The second mistake you need to avoid is recording with too much input gain. On the other end of the spectrum, too much input gain will cause you to overdrive, distort, or potentially clip your input signal. It’s tough to edit out these types of errors, so it’s best just to avoid them in the first place. A healthy input level is around -18dB to -12dB; if you’re speaking at a regular level into your microphone, you should be peaking within this range on the audio level meters. You’ll also want to see where your levels peak when you put more energy into your voice. When I'm getting ready to record vocalists, I'll make sure to have them sing the loudest part of the song so that I can set my input levels properly. If your podcast is scripted, you should most certainly rehearse the section with the most energy while setting your input levels. Every step you’ve taken up until this point has been taken to prevent recording issues. The best way of dealing with problems is by stopping them before they occur. However, if an issue slips through the cracks of your preventative measures, there are still a few ways to deal with it. Depending on the severity of the issue, you’ll be able to either completely cure the problem, or worst case scenario, be able to lessen the damage. Waves Restoration Bundle is explicitly made for fixing common issues that can occur in your podcast; it includes plugins that correct clicks, crackle, hum, and noise. The plugins in the Restoration Bundle are a great plug and play solution; there are only a couple controls on each device, so it’s effortless using each device. All rooms have some level of ambient noise that’s referred to as a “noise floor”; the level of this noise depends on what’s producing it, how many sound sources are contributing to it, etc. Assuming that you’re recording from home, the usual culprits include air conditioners, fans, fridges, and even your computer. Additionally, noise from outside your house can make its way into your recording environment. I happen to be cursed with many planes, trains, and trucks driving by my recording space. For shorter recording stints, such as vocal sessions where you tend to record each section separately, it’s not so bad. However, for long-form content like podcasts, there’s not a whole lot you can do about this without soundproofing your recording space. Soundproofing a room is entirely different than sound treating a room. Soundproofing is something that many people choose not to do because of how expensive it can be; in many cases it involves making the walls of your recording space much denser than they are, making sure the room is air-tight, and suspending the room within another room to create an air barrier that effectively reduces incoming and outgoing noise. The main tool used to apply this kind of noise reduction is called a gate. A gate is a dynamics processing tool that applies downwards expansion to an audio signal. When the audio level of a signal falls below the gate’s threshold, the signal’s level gets attenuated. You want to set the gate’s threshold to just above the level of your noise floor. This will allow you to speak without worrying about your words getting cut off by the gate, but also enable the gate to reduce the level of the noise in the audio signal when nobody is speaking. How much you reduce the level of the noise floor is up to you, but I’ll usually cut the noise floor right down to -inf. A fast attack (10-15 ms) and slow release (2+ seconds) are great gate settings to start with if you want the reduction of noise to sound natural for speech. 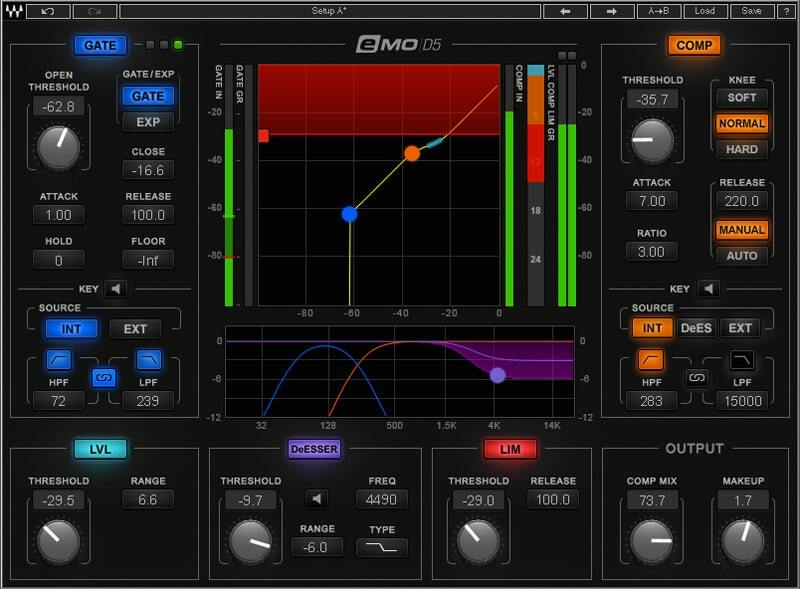 The eMo D5 Dynamics plugin is a one-stop-shop for dynamics: It features a gate, compressor, de-esser and other helpful dynamic leveling tools. If your recording is suffering from more severe noise issues, such as audible noise when people are speaking, there are more advanced noise reduction tools available that are made to deal with this type of issue; a simple gate is incapable of fixing this type of problem. Waves Z-Noise is one of the best noise reduction plugins on the market; it extracts a noise profile from a section of audio where nobody is speaking, and then based on the information it gathers, reduces the noise floor in sections where people are talking. When you record your podcast, you’ll find that certain sections will be significantly louder than others. In old films, you’ll notice that some parts are extremely quiet, while some are extremely loud; turning the volume on your TV up and down throughout a movie is a real fun-killer. New films have gain reduction applied to their audio, which ensures that you don’t need to mess around with the volume of your TV; the audio is at a reasonably constant level. Old films had a lot of dynamic range, whereas new movies have a smaller level of dynamic range. The simplest way of applying gain reduction is by automating the gain level of your podcast’s audio within your DAW; just draw it in. For a 1 minute segment this is fine, but for an hour long podcast there has to be a better way, right? Yes, of course, there is! The solution is to apply a compressor, which is a device that reduces dynamic range. Waves Vocal Rider is a plugin that simulates someone “riding” the fader on a mixing console. Vocal Rider keeps steady vocal and dialog levels automatically without having to draw in any automation (although you can write the automatic riding to an automation track to make adjustments later). Riding the input level of a fader was an old trick used by engineers to capture performances at a consistent level back in the day. Vocal Rider is excellent for attenuating the overall level of your podcast, but sometimes you’ll need a little bit more gain reduction; specifically for transient material. You’ll want a compressor that’s capable of applying compression with a fast attack and release time; this will cause it to clamp down on transients, and back off quickly when the audio falls below a certain threshold. 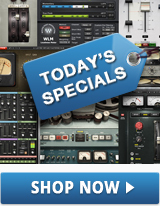 The Waves Broadcast & Production Bundle contains many compressors suited for transient compression, as well as an entire suite of other tools that will help to improve the quality of your podcast’s audio. A common problem you may run into with vocal recordings is the harsh presence of 's' and 't' consonants in words, called sibilance. The simplest way to smooth out the harsh sizzle of certain words is to reach for a de-esser. A de-esser is basically a compressor that only focuses on the finite part of the frequency spectrum where the harsh sibilance lies, and works to smooth it out. Waves DeEsser is an easy-to-use, straightforward option; another is built into the eMo D5 plugin, which has a de-esser section among its many controls. Now that the quality of your audio is in check, you can begin “enhancing” it. Let me clarify something, your audio should already sound good before moving forward. If there are issues, pinpoint where they’re coming from, and address them at their source. An EQ is one of the most straightforward and most versatile tools at your disposal; it allows you to boost and/or cut different frequency ranges (bands). Some microphones are low-end heavy, which means you may want to reduce the level of your low-end frequencies using an EQ. Alternatively, some microphones are really bright, meaning you’d want to lower the high-end frequencies. While applying boosts and/or cuts, I recommend using a reference track (ideally another high-quality podcast) to avoid tricking yourself into thinking you’re improving your audio, when in reality you’re harming it. The Scheps 73 EQ plugin is rich with character, and an excellent choice for adding that vintage warmth to your podcast’s audio. If you’re looking for a little bit more control, and transparency, the Waves H-EQ Hybrid Equalizer is something to take a look at. A saturator is going to help “thicken” your audio. Saturators apply compression and distortion; the result is an audio signal rich with harmonic content, yet controlled. You can target the frequency range that you wish to apply saturation to. If you have a higher voice, some saturation in the low-end can be beneficial, whereas if you have a lower voice, some saturation in the high-end can be beneficial. There are different types of saturation, but tape saturation, in particular, is one of my favorite types. The J37 Tape saturation plugin provides such an aesthetically pleasing sound, that just a touch of it on your audio track can suit almost any situation. While appropriate for some podcasts more than others, effects such as reverb and delay do have their place. One situation that comes to mind is if you’re telling a story in your podcast. Perhaps you want to enact different characters. Applying various effects to your audio is going to make it abundantly clear how each character sounds. The simplest of these effects are reverb, and delay; each manipulates the room that your listeners perceive you in. Good starting points are the Abbey Road Chambers plugin for reverb, and the H-Delay plugin for delay effects. Beyond reverb and delay, there are many effect plugins out there that you can explore and make use of. Effects won’t be appropriate for every podcast, but if you’re looking to get creative, they’re good tools to keep in mind. The hardest thing to do is be honest with yourself when it comes to the quality of your audio; especially if you’ve invested a lot of time into it. No one wants to spend a bunch of time, and money, only to come to the realization that they haven’t achieved what they were after. This is ok, it just means you need to refine your process. Chances are that after having read this guide, your first run at this is going to sound pretty good. Although, by improving this process and taking into consideration your current recording situation, you’ll want to make further adjustments. Run a whole bunch of tests to see where you’re running into issues, and knock them out one-by-one. There are a couple things you should look out for when revising your audio. The first thing you want to avoid is over-processing. It’s easy to fall into the trap of applying more and more processing to accommodate for issues; the side effect of this is that it will likely cause more problems than it will correct. Recording problems tend to snowball as you move from the recording stage to the mixing stage; fix problems at their source during recording, and everything should fall into place after that. For a simple recording, you shouldn’t need much more than a few plugins on the track you’ve recorded; these plugins may be acting to reduce noise, apply compression, and balance the frequency levels of your audio. Avoid making any drastic mixing decisions; the mixing techniques that work best are often the most simple, and subtle. Mastering is the process of formatting audio for its destination format; in this case, streaming services. If your podcast contains multiple people, a moderate amount of stereo buss compression may be in order. A long attack (30ms) and short release (1-5ms) with 1-2 dB of gain reduction is going to help pull all the voices you’ve recorded together, and help make them feel like they’re in the same space. Buss compression is optional, and you may not need it; use your ears! Since most podcasts primarily contain speech, there’s not a whole lot that needs to be done when mastering your audio. If you come from a music production background, you may be used to cutting the low end of vocals at around 80-100 Hz; for podcasts, you don’t need to do this. For songs, the low end of the human voice conflicts with bass elements, but for podcasts, there’s no bass element for it to clash with. It will actually sound like something is missing if you completely remove frequencies below 80-100 Hz. If you’re worried about low-end rumble, you can still safely cut below 20-30 Hz without worrying about losing the thick body of your audio. A loudness meter like the WLM Plus Loudness Meter is going to allow you to monitor the overall perceived loudness of your track so you can ensure that it will sound loud enough when compared to other professional podcasts on the web. LUFS (loudness units relative to full scale) is used to describe loudness level differences over time; both short term and long term. Most streaming services apply gain reduction based on long term LUFS, so it’s important to know the long term LUFS value of your podcast’s audio. Dynamic range affects the LUFS value of your audio, so applying more or less compression will allow you to control that value of your audio. The LUFS target for podcasts is around -18 LUFS. This is slightly higher than the typical target LUFS value for public radio which is about -24 LUFS. Podcasts are often listened to on mobile phone speakers and other handheld devices; if these listeners are out in public and surrounded by external noises, audio with a smaller dynamic range will be easier to listen to due to how it floats above the noise floor more effectively than audio with a higher dynamic range. To manipulate the LUFS value of your podcast’s audio, you’ll want to use a limiter. A limiter is a type of compressor that will allow you to maximize a signal’s perceived loudness without clipping your audio. You set a target output level and compress your audio into the threshold that you set. Limiters apply aggressive gain reduction, which prevents the incoming signal from surpassing the output level you’ve set. Setting the output level of your limiter to 0dB is a poor decision. Although it may sound fine when you audition the audio file from your computer, once it’s uploaded to streaming services they tend to apply their own gain reduction formulas. If they see that the audio is too close to the digital loudness ceiling of 0dB, they’ll apply their own gain reduction which may introduce unwanted artifacts. To avoid this, set your output level to no more than -1dB; this prevents artifacts if the streaming service you upload your podcast to reduces the level of the your audio. Finally, export your audio at a bit depth of 24, and a sample rate of 44.1 kHz. Also, make sure to enable dither with noise shaping active when you export your audio; this adds low-level noise that can prevent audio artifacts from occurring. There you have it, The Ultimate Guide to Recording Podcasts. Once you’ve gone through this process a couple times, it’s relatively simple to record future podcasts. If you’re recording your own podcasts each week, you can save all of the settings that work for you and call on them the next week. With a little bit of setup, and trial and error, you’ll be creating professional quality podcasts all on your own! Want to get tips, tricks and inspiration for creating music and making great mixes? See all of our latest tricks of the mix.